The following letter has recently been received from the office of Carol M. Browner, Administrator of the U.S. Environmental Protection Agency. This further records the state of unawareness that Carol M. Browner remains in, despite initial notification of accumulating evidence on the aerosol issue on Dec 09, 1999, more than one year ago. A chronology of the communication between David Peterson, myself, and the EPA is available on this website. 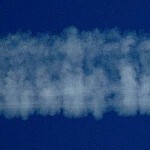 Throughout the last year several correspondences have been received which continue to use the phrase that the EPA is “unaware” of any aircraft aerosol operations being conducted across the nation. 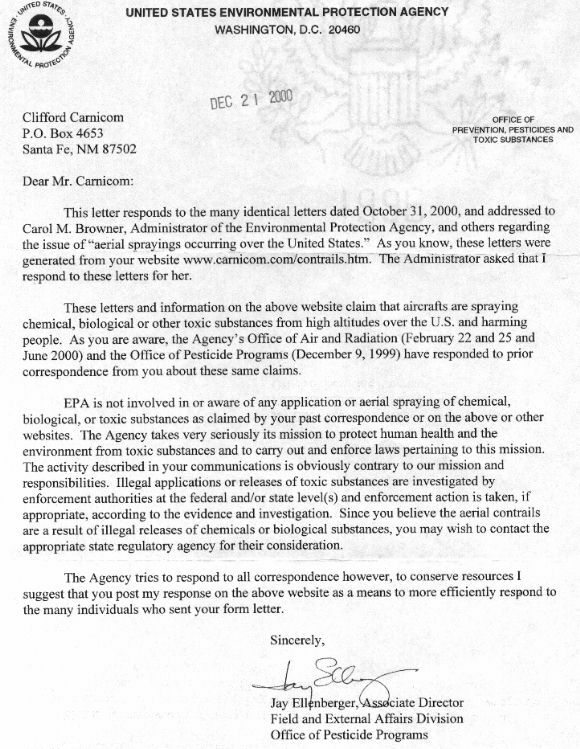 In addition, Carol M. Browner and the office of the EPA refuses to acknowledge the existence of a physical sample sent to her by certified mail on June 20, 2000, and there remains a patent refusal to identify that material as requested and to release the results of such testing to the American public.